The EB-5 Regional Center Program allows foreign investors to earn permanent residency (green cards) for themselves, their spouses, and unmarried children under 21 years of age by investing in job-creating projects in Whatcom County and other communities served by a Regional Center. 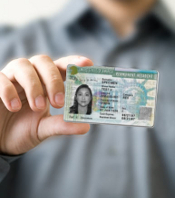 The United States Citizenship and Immigration Service (USCIS) authorizes up to 10,000 visas nationally each fiscal year for eligible entrepreneurs and their families. These families work with their legal counsel and Regional Center to prove to the USCIS that they are fulfilling the program requirements of investing in a local, commercial enterprise and generating local jobs. This website is not a solicitation of investment. Offering documentation will only be provided to accredited investors as defined under the Securities Act of 1933. Before considering making an investment, interested parties should review all project or offering documentation with independent advisors of his/her choice. © 2019 WORC - Whatcom Opportunities Regional Center, Inc.